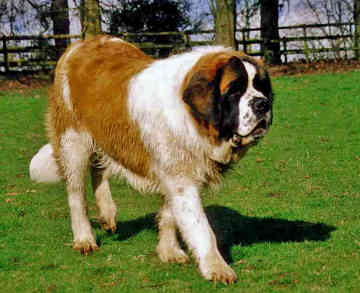 The Saint Bernard is a dog whose every characteristic conveys strength, size and power. The head is large and broad with loose wrinkly skin, and the ears set high on the skull. The muzzle is short with a scissors or even bite. The eyes are intelligent and friendly, and are set deep enough in the skull that the eyelids do not close completely. The back and chest are well muscled and powerful, as are the fore- and hindquarters. The legs add significantly to the overall height of the dog and the feet are broad, both features adding to the dogs effectiveness at trudging through snow. The coat can be either short or long, but is always dense and tough yet smooth to the touch. The coat is predominantly white and red, with the chest and feet always white, and the head having dark markings (called the mask). 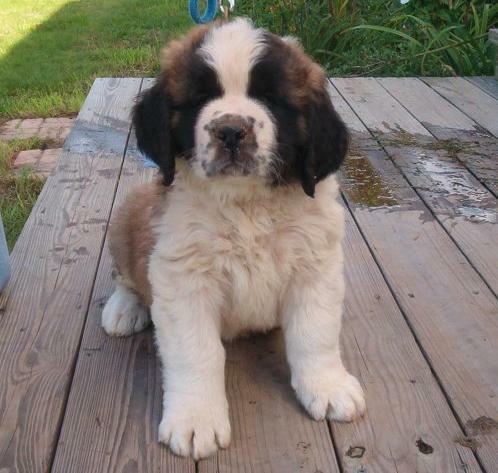 Common Misspellings Saint Burnard, St Bernard or Saint Bernarhd. Perhaps owing to its centuries of use as an alpine rescuer, this dog is truly a gentle giantgreat with kids and other pets. 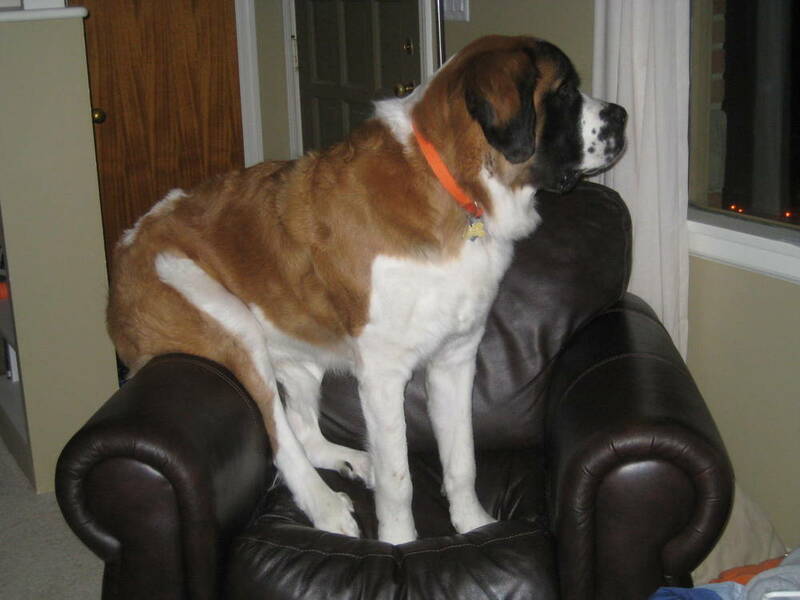 While not the most energetic or playful of breeds, the Saint Bernard is nevertheless devoted to its family and eager to please. 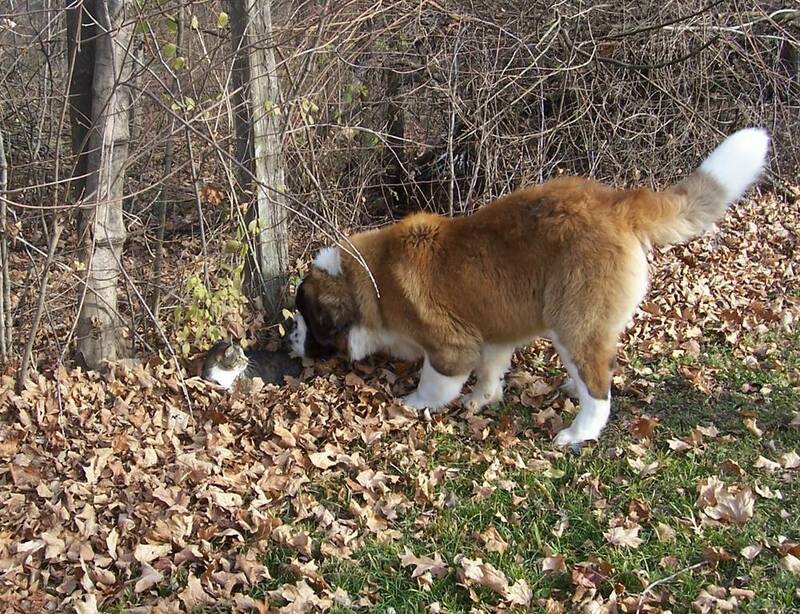 Some Saint Bernards have a tendency to be strong-willed or stubborn; it is important to discipline these dogs firmly from a young age to ensure that they do not become unmanageable as adults. Daily exercise is a must, but a modest walk or a quick run around the park should be sufficient. The dog does very well in cold temperatures, and in fact relishes them, but does poorly in heat. 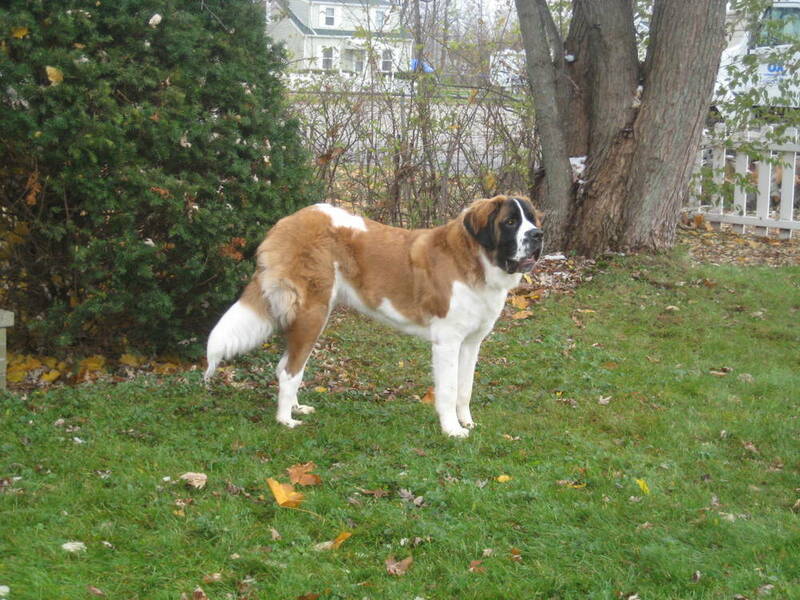 The Saint Bernard should have a place in the yard where it can get out of the sun and should be given a lot of water on warm days. 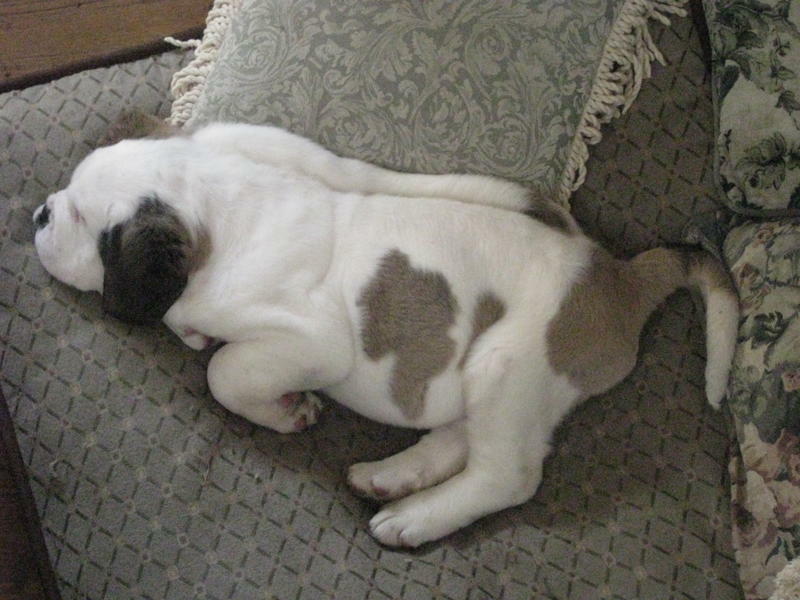 Puppies have a tendency to become overweight, which can lead to serious bone and joint problems during adulthood. 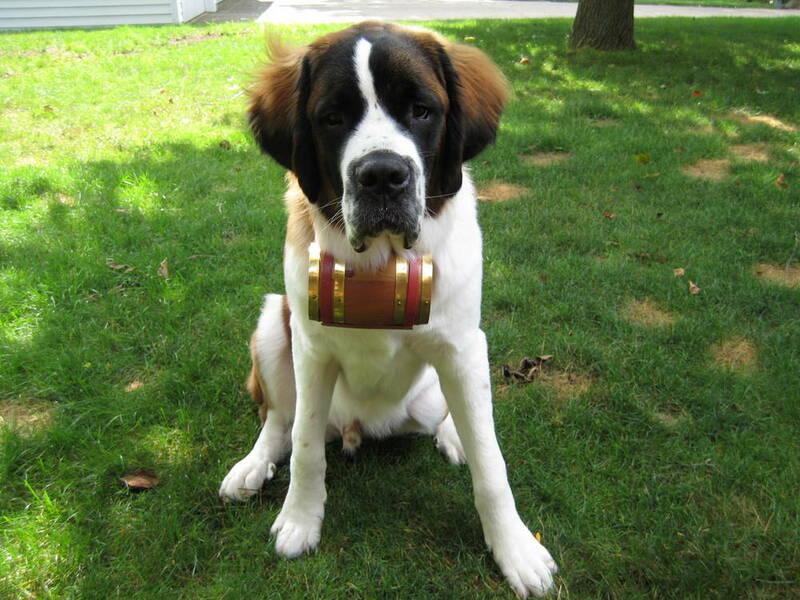 Take special care to ensure that your Saint Bernard is fed and exercised properly, and that he does not become obese. 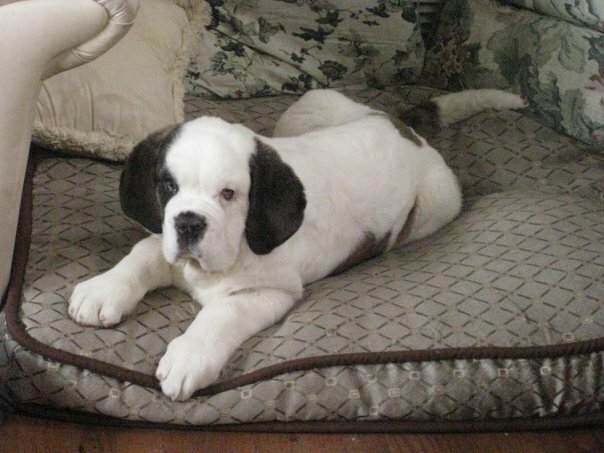 Common health problems include canine hip dysplasia (especially if the dog is overweight), osteosarcoma, ectropion, entropion and gastric torsion. Other health issues to be aware of include osteochondritis dissecans, seizures, diabetes and heart problems. Beware of drool its unavoidable with this breed. 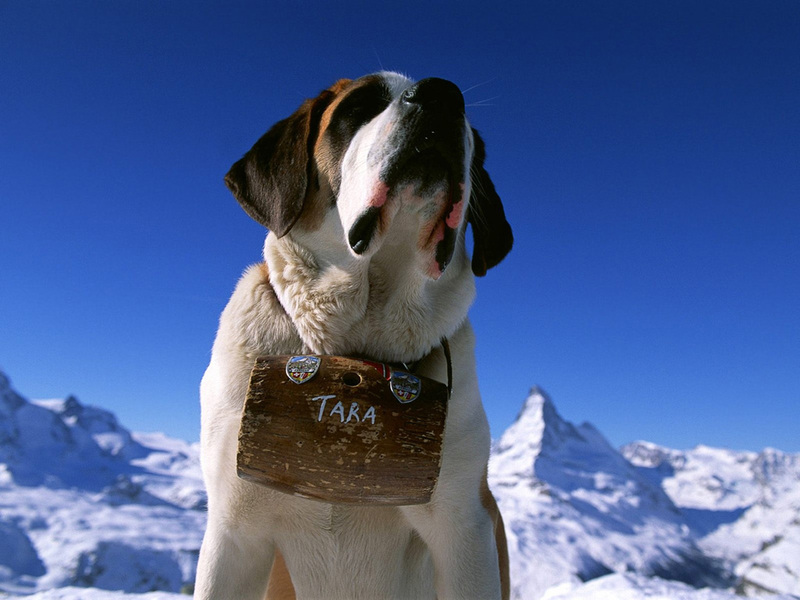 For hundreds of years, the people of the alpine valleys employed the dogs with great success as herders and guard dogs, but the Saint Bernard would find its true calling in the snowy and treacherous passes of the Alps. In 1050, Archdeacon Bernard de Menthon founded a hospice in the Alps to assist travelers making the arduous trek between Switzerland and Italy. At some point, dogs from the alpine valleys were brought to the hospice to pull carts, guard the hospice and keep the monks company. Eventually, the dogs were put to work locating and rescuing lost travelers. For this, the dogs keen nose, sure-footedness in deep snow drifts, and its ability to warm and even drag stranded climbers made it invaluable. 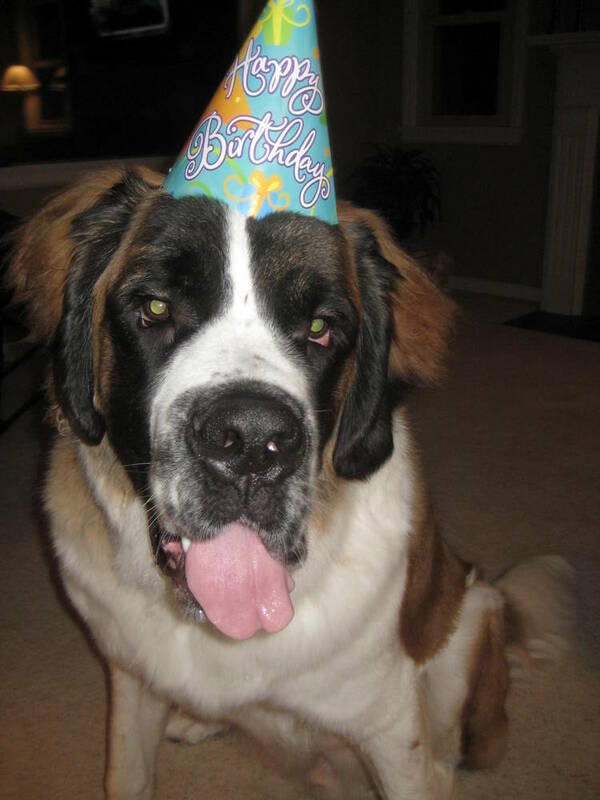 It is estimated that between the 17th century (when the breeds use as a rescue dog was first documented) and the present, the Saint Bernard has been responsible for saving more than 2,500 people. 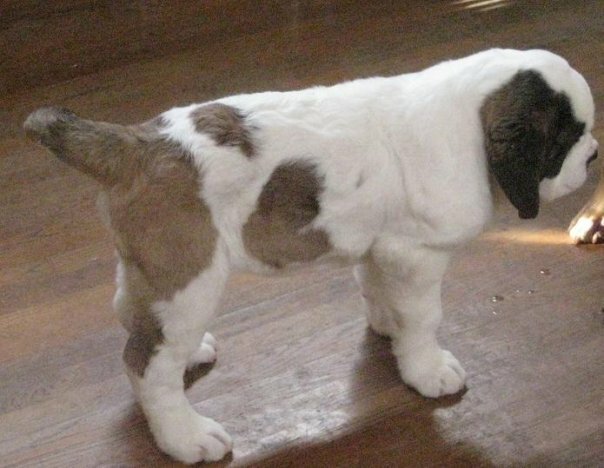 Chief among the Saint Bernards was Barry, who is credited with saving 40 lives.During the 19th century, the Saint Bernard was exported to the rest of Europe, and eventually to America, where it found instant popularity. 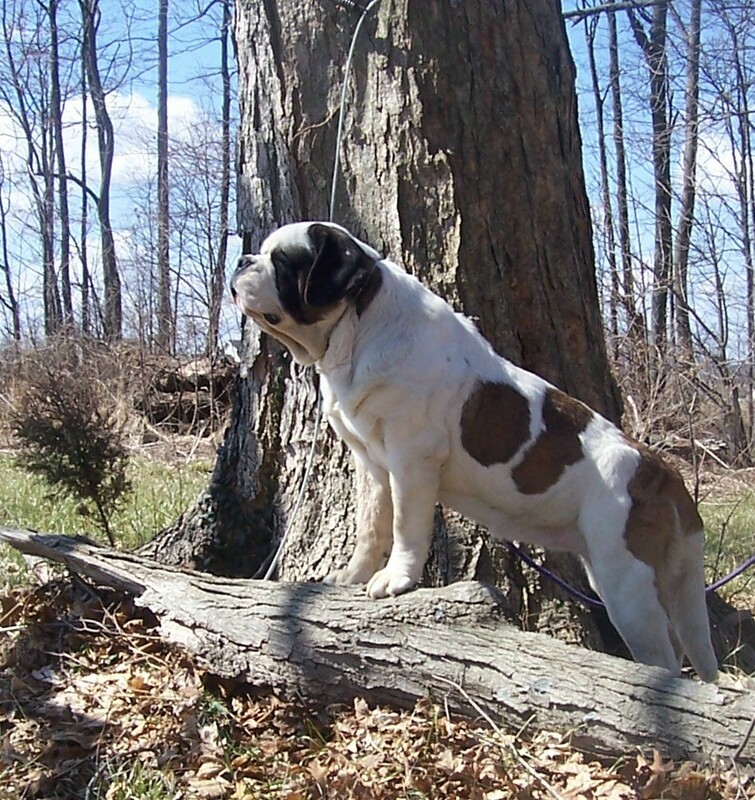 As a credit to this popularity, the Saint Bernard was recognized by the American Kennel Club in 1898, just a few years after the dogs had been brought to the US and only four years after the founding of the organization itself. 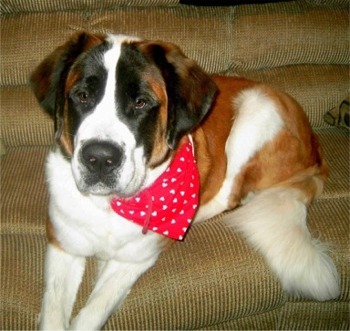 The Saint Bernard continued its work as an alpine rescuer until 2004, when the monks of Saint Bernards pass began to give the dogs away and focus more on the needs of its human visitors.